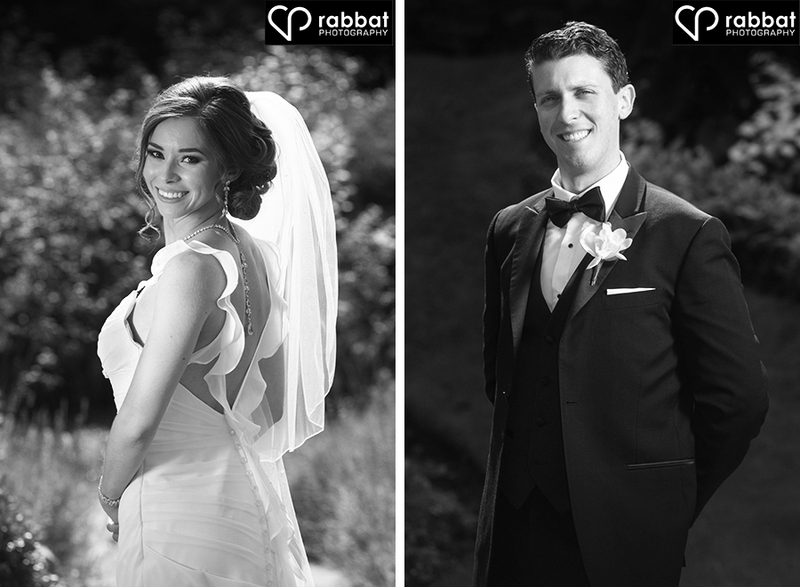 Michael and Anna’s wedding was filled with loving moments throughout the day. 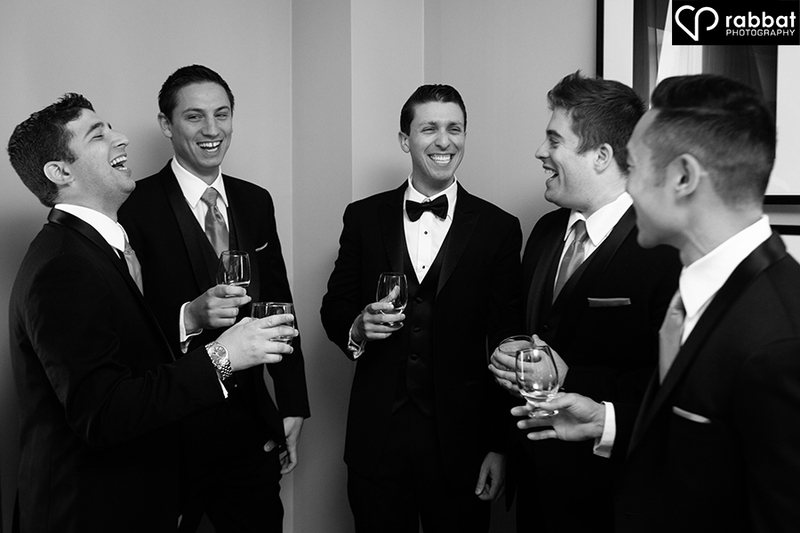 When I arrived at The King Edward Hotel to photograph Mike and the guys getting ready, they were already ready, so they had a drink before the ceremony. Mike looked as happy as he does in this photo throughout the day. Anna got ready at their downtown condo. 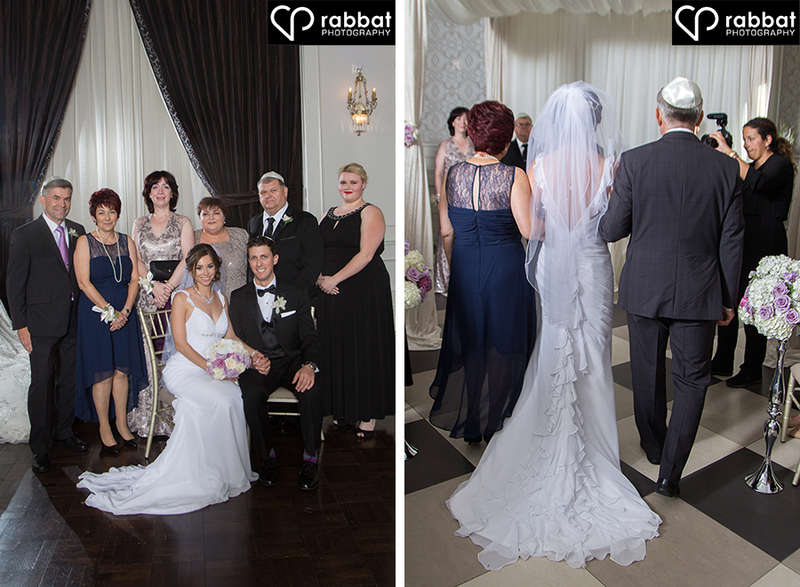 Amy Griffiths from Bridal Hair Collective, helps put on her veil, as one of her bridemaids looks on. 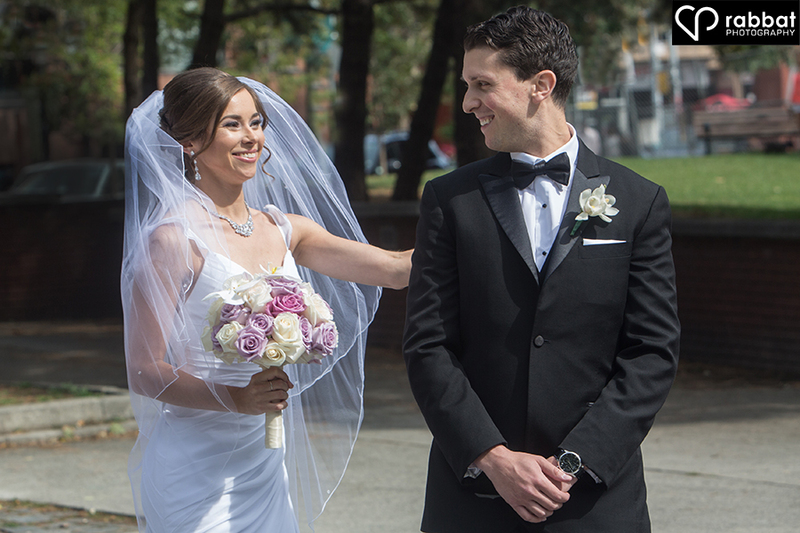 She met Mike at Berczy Park, across the street from their condo to reveal herself in her wedding dress to him for the first time. We went to Alexander Muir Memorial Gardens for the formal portraits. 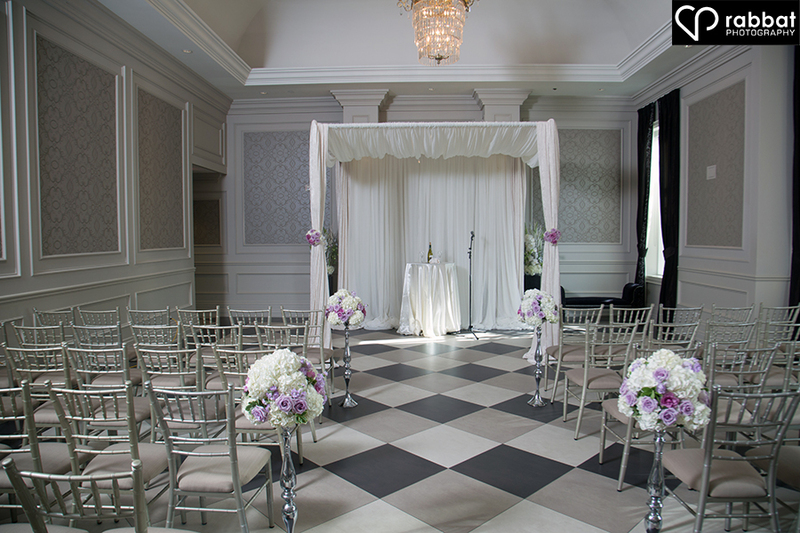 This is a beautiful spot for wedding photos in Toronto! Don’t they look like they belong on the red carpet? 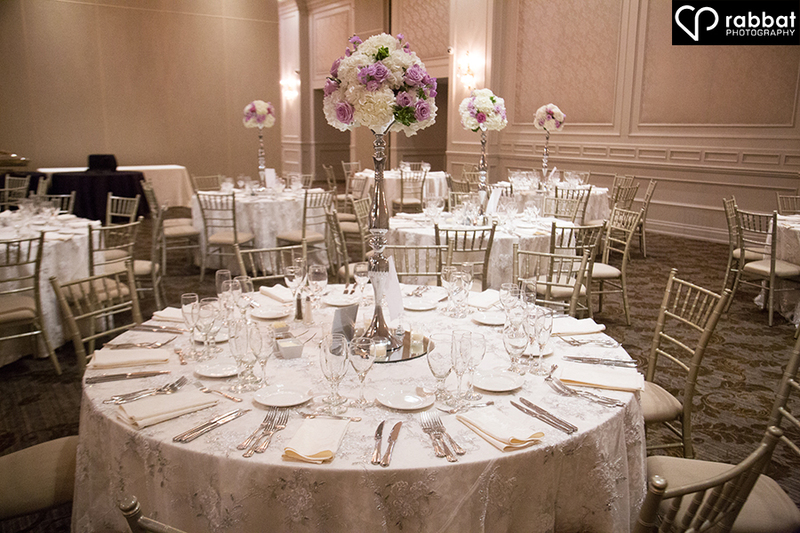 We headed to Hazelton Manor banquet hall in Woodbridge, which was also a fantastic spot for photos. 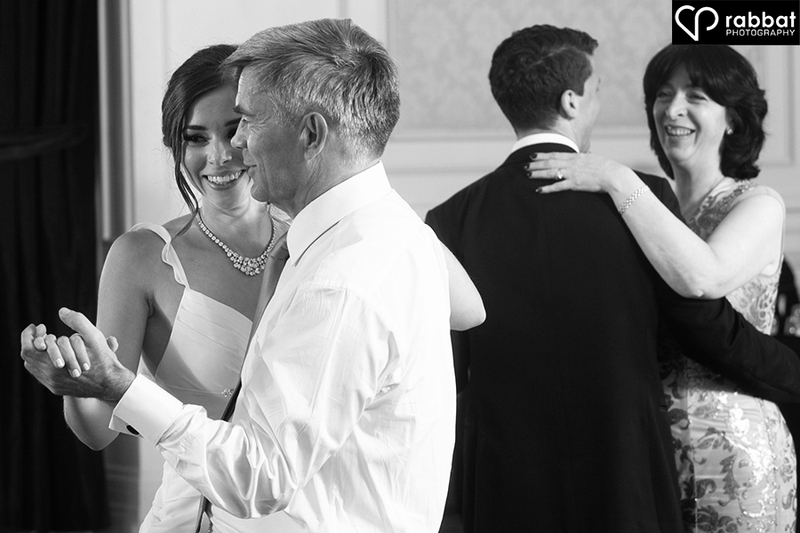 I am not sure what Michael’s dad whispered in his ear, but whatever it was, it put smiles on both Anna and Michael’s faces (he whispered in her ear too). 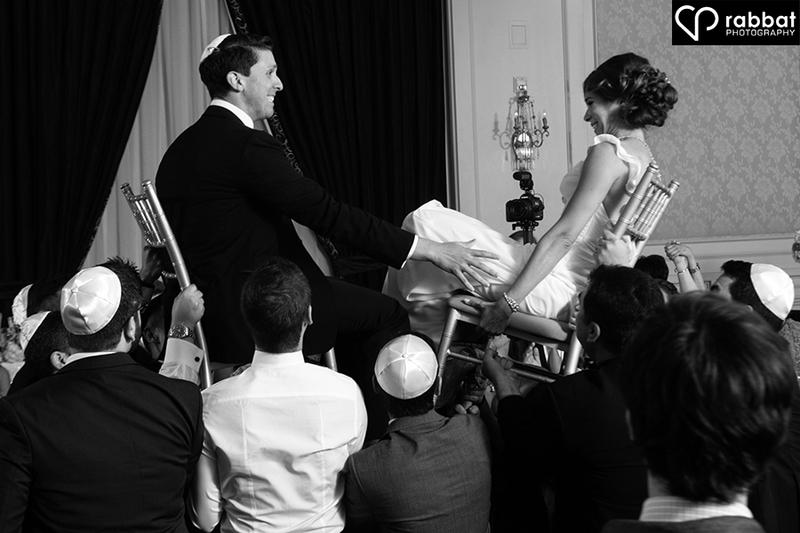 This happened during the ketubah ceremony. 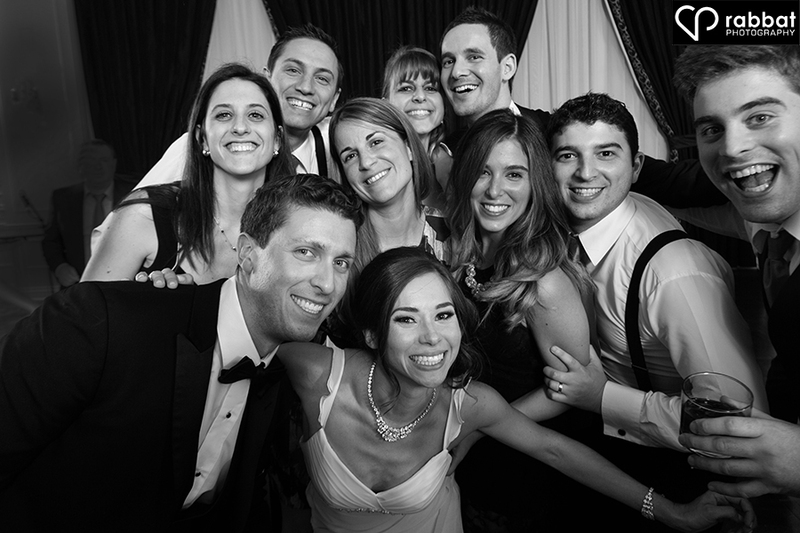 We took a family photo before Anna was walked down the aisle by both of her parents. 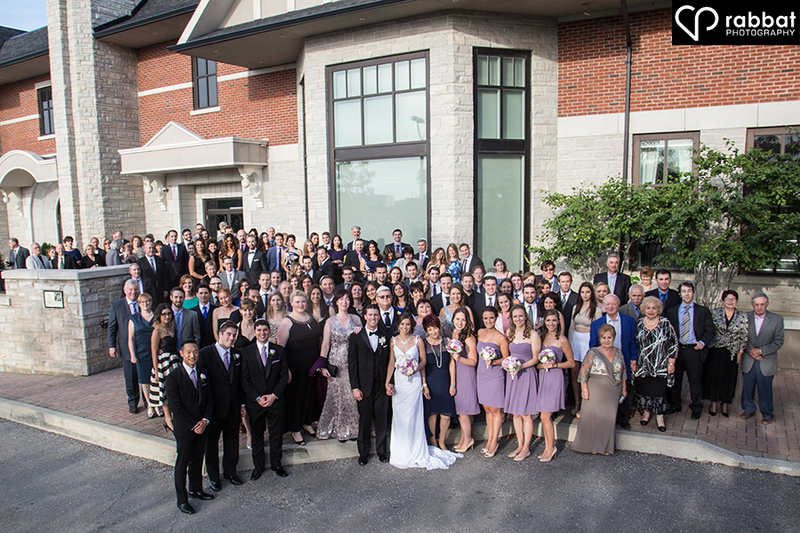 After the ceremony, I climbed to the top of a ladder to take this photo of all the guests outside Hazelton Manor. 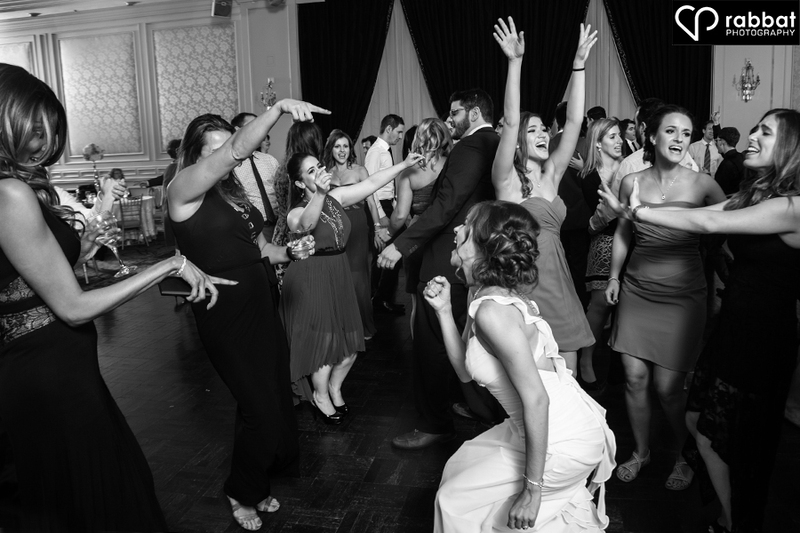 The horah dance has always been my favourite event at Jewish weddings. 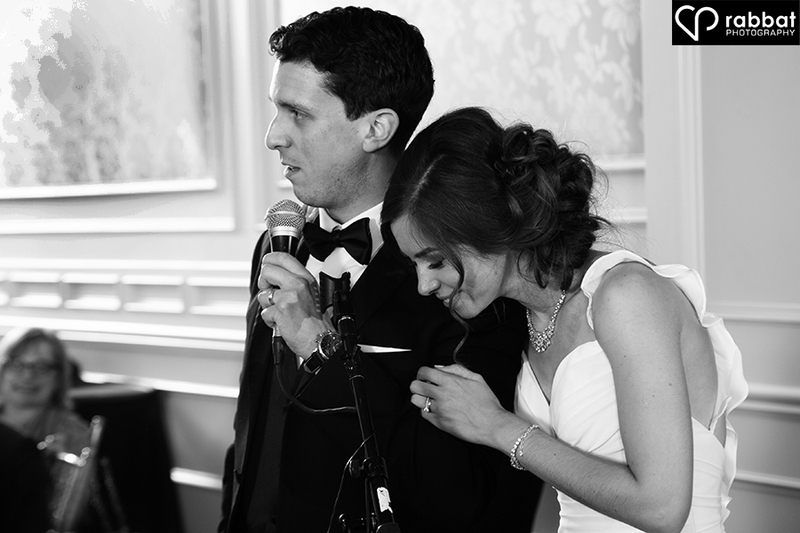 I am not sure if Anna felt that way when she was hoisted onto the chairs…. 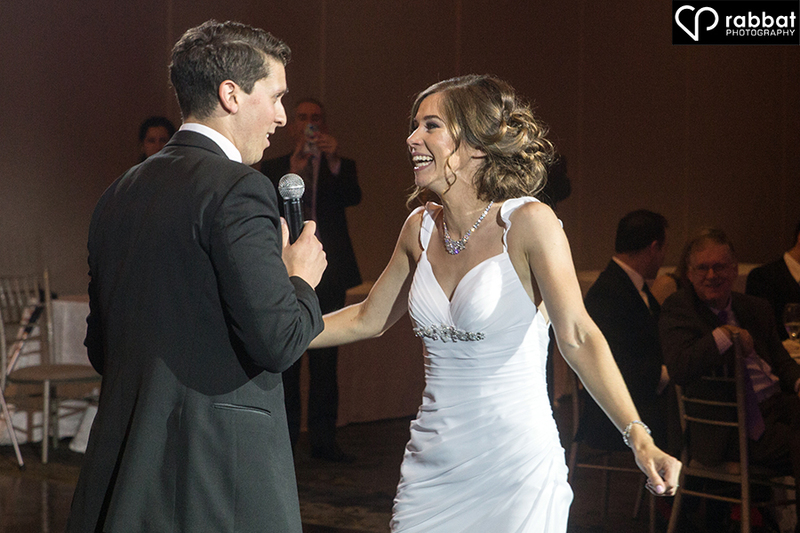 Mike surprised Anna by singing to her as they danced the first dance. I love how Anna is leaning on his shoulder as he speaks. First taste of the wedding cake. 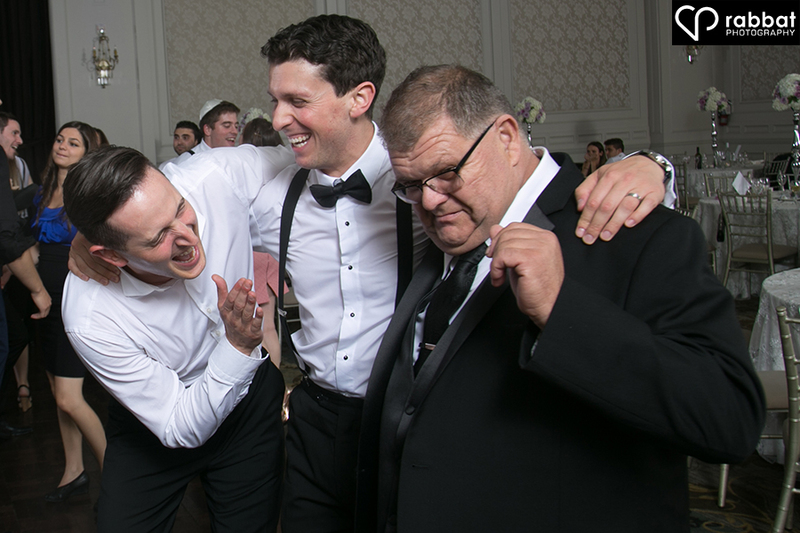 Mike and his brother and father are really getting into it at the reception. Anna and her friends are all on the dance floor. 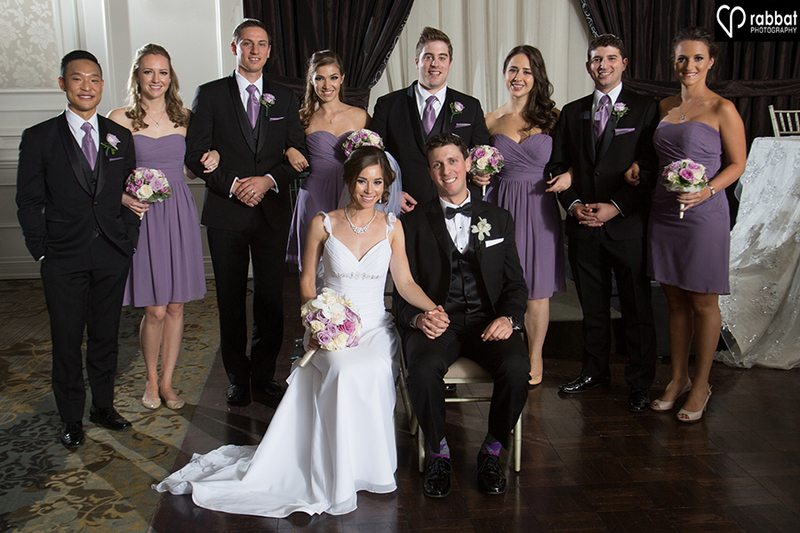 Congrats on having a picture perfect wedding, Mike and Anna! 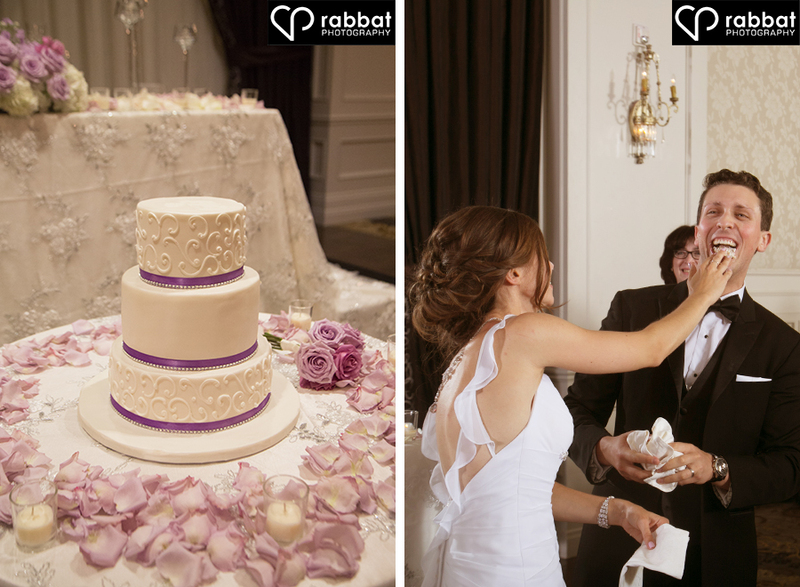 May you have as much fun throughout your marriage and lives together as you had on your wedding day. 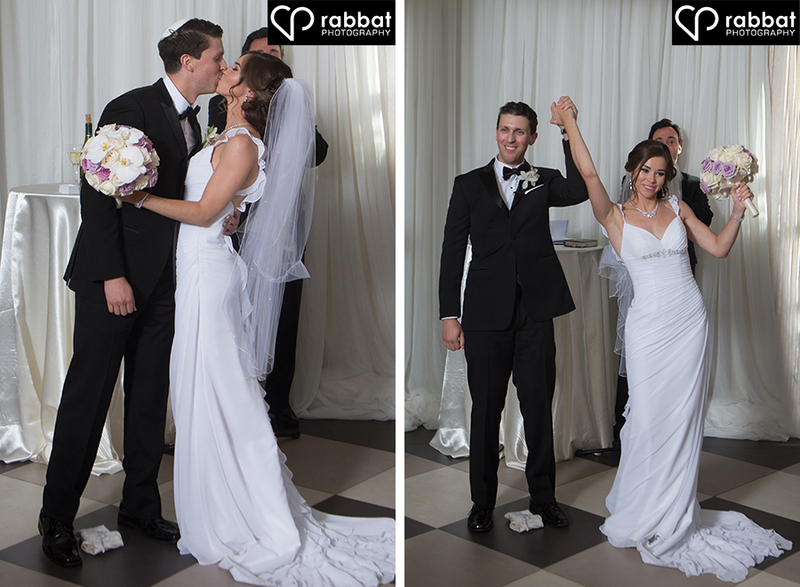 October 2, 2015 - 3:33 pm	Nancy Rabbat - Weddings are a lot more fun for everyone when the couple is enjoying their day as much as this couple! All the details were beautifully planned. Great jumping shot! October 2, 2015 - 6:35 pm	Lins - Great pictures, as always... But man! The 2 pics with greenery all around are fantastic!